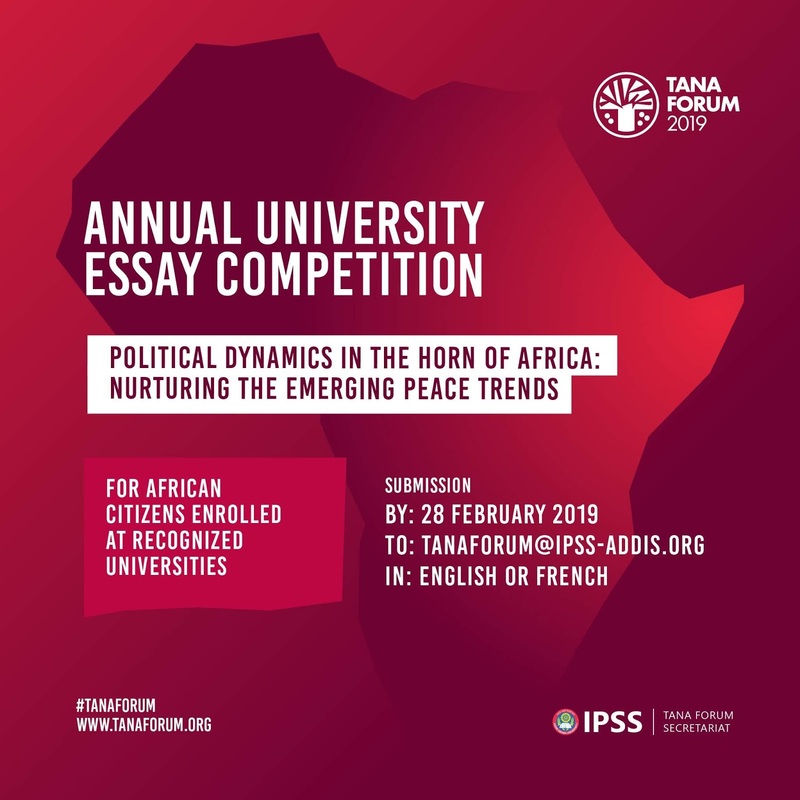 Tana Forum Annual University Essay Competition Eligibility, Benefits, Guidelines for for Africans 2019/2020. The Tana High-Level Forum on Security in Africa is an annual meeting that brings together African leaders and stakeholders to engage and explore African-led security solutions. The Forum strives to provide a platform for young Africans to engage with African heads of state and governments, practitioners and experts in peace and security in Africa. Youth inclusion is an essential, yet often lacking, component of decision-making in Africa and the Forum offers several opportunities for youth participation before, during and after the Forum including youth debates, multi-stakeholder dialogues, civil society and media involvement, and different competitions. Applicants must be African citizens enrolled at recognized universities in Africa or in the diaspora pursuing either a BA, MA or PhD in a relevant field. 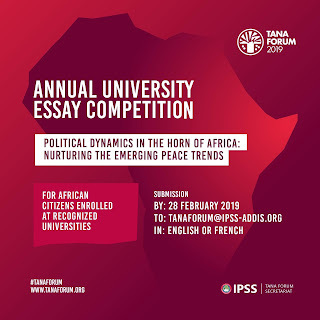 The authors of the three winning essays will be invited by the Tana Forum Secretariat to attend the Forum as fully sponsored participants and address participants at the Forum. Email your essay with the subject line: [Full name] 2019 Essay Competition. Attach a short bio that includes your name, university, degree title (BA, MA or PhD. ), country of origin and contact information (email address, telephone number).